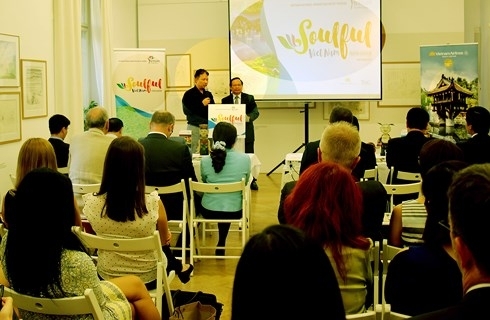 A tourism promotion program was held in the Czech capital of Prague on June 27, aiming to showcase Vietnam’s popular tourist attractions and unique traditional arts. 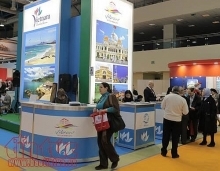 The event was organized by the Vietnam National Administration of Tourism (VNAT) in collaboration with the Vietnamese Embassy in the Czech Republic, the national flag carrier Vietnam Airlines, and Vietnamese travel firms in the host nation. This is the final stop of the Vietnam Tourism Roadshow Europe 2018 which has travelled through Sweden, Austria and Hungary. 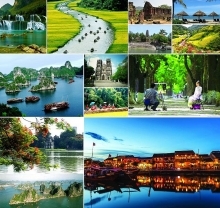 Highlighting the traditional friendship between Vietnam and the central European country, VNAT General Director Nguyen Van Tuan stressed that both sides have a huge potential for tourism cooperation. Vietnam welcomed just 1 million foreign visitors in 1995 but that figure is forecast to reach 16 million this year, including 2 million European holiday-makers, Tuan said, adding that currently, just 17,000 of them come from the Czech Republic. 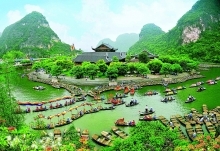 This is a modest figure when Vietnam’s tourism industry has many strengths which would appeal to Czech visitors like beautiful beaches along its 3,000km of coastline, the stunning Ha Long Bay, gigantic Phong Nha-Ke Bang Cave, and the unique orchard gardens in the south, he noted. On the sidelines of the event there were meetings between Vietnamese and Czech tourism agencies, which served as a bridge for them to seek cooperative opportunities. According to VNAT General Director Tuan and deputy chairman of the Association of Czech Travel Agents, Jan Papez, Vietnamese and Czech tourism products satisfy the demands of tourists from both countries. However, they said that visa procedures, the absence of direct flights between Hanoi or Ho Chi Minh City and Prague, and the weak promotion campaigns are the main barriers for bilateral tourism cooperation.